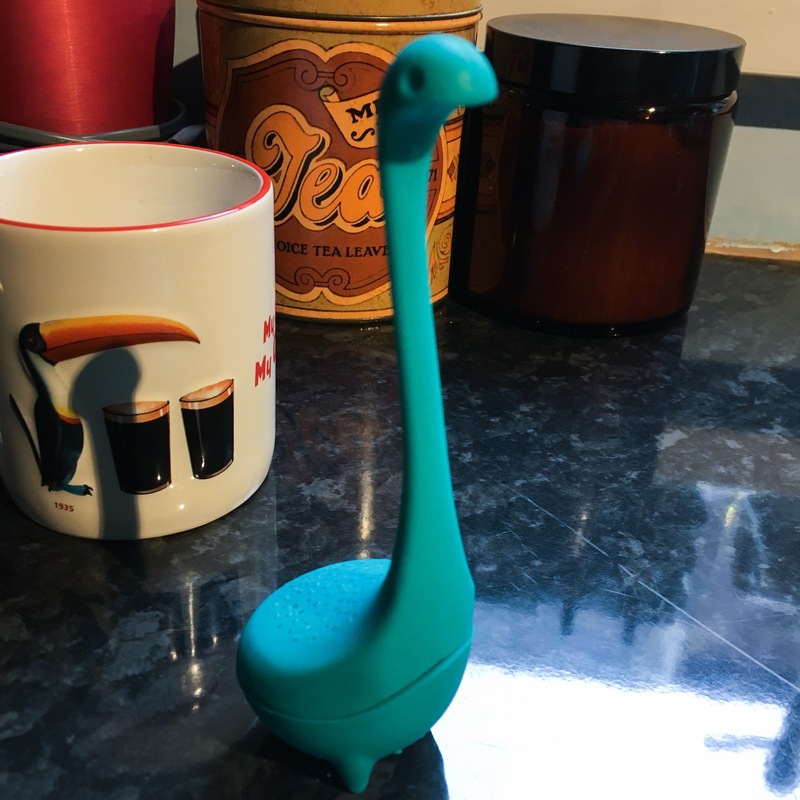 Meet Nessie, my new Loch Ness Monster tea infuser. 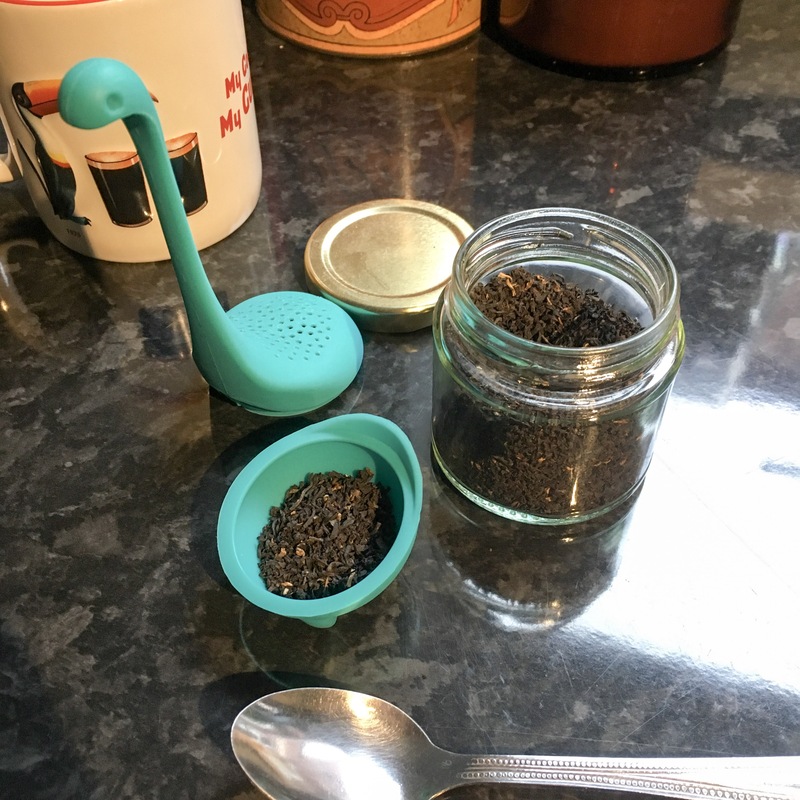 I’ve got a lovely jar of breakfast tea from Quilliams Cafe, but as it’s loose leaf I can rarely be bothered to get out the tea pot and faff around with the tea strainer… enter Nessie! I bought her online, she came all the way from China (yes my Scottish legend tea infuser came from the other side of the world), and she has had limited success so far. Just pop the body open (it’s silicone so dead easy), dump a teaspoon of tea in there, close again and dunk in your cup of hot water… easy! 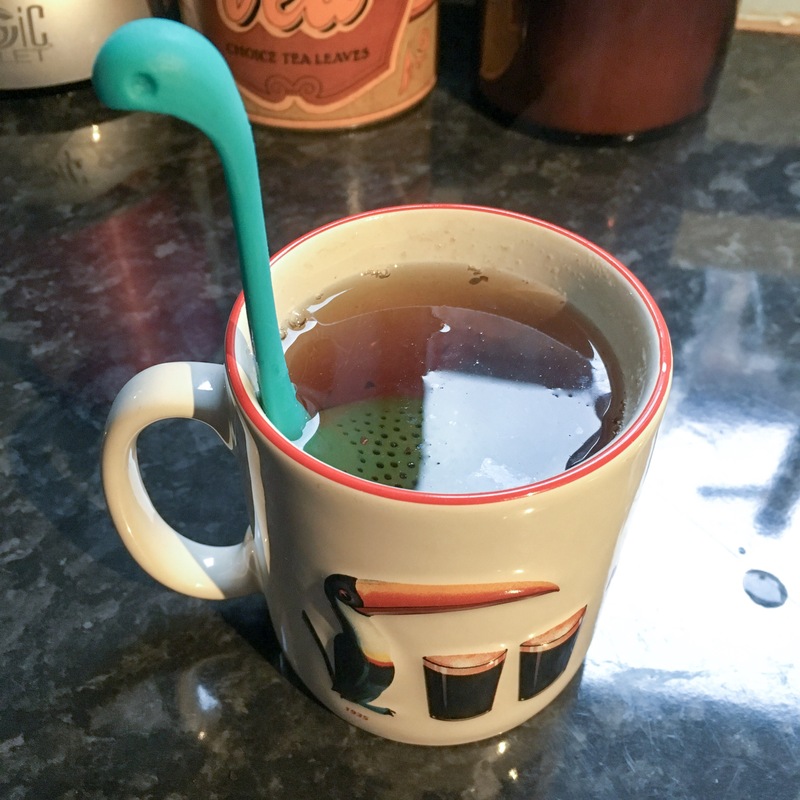 The limited success is only because one or two flakes of tea got through too, but as it goes, I still get my lovely tasty cup of tea… yeah Nessie can stay.